The People’s Republic of China, depending on what criteria are considered, can be rightly described as a developing or developed country, a great or a super power in waiting. In classical international relations, the fundamental difference between a great power in the 19th Century and 20th Century and a super power in the post-World War II era, is the capacity and capability to project one-self economically, politically, militarily, technologically, and culturally worldwide. Only the United States and the former Soviet Union met the criteria at the end of World War II, and by force of necessity, the two of them emerged and imposed themselves on the international community and the whole world had to acquiesce to the development. As a result of perestroika and glasnost (openness and reconstruction), the Soviet Union destroyed itself through strategic miscalculation. The Soviet Union was disintegrated, thus leaving the US as the only existing super power. Russia, which succeeded the Soviet Union appears to be struggling to occupy the vacuum created. The minor and medium powers also exist. A minor power is one that is fairly able to satisfy its obligations in the conduct and management of international relations, as well as still provide the basic needs of the people. As regards the medium powers, they are essentially regional ‘influentials’, that is, the African conception of a ‘region’ as defined in Article 1, paragraphs (d) and (e) of the 1991 Abuja Treaty Establishing The African Economic Community’, which has been integrated as part of the AU Act. In fact, Professor Akinwande Bolaji Akinyemi came up with the need for Nigeria to seek to establish and coordinate the Concert of Medium Powers (later Lagos Forum) in order to make Nigeria more relevant in the management of global affairs. The point being made here is that China is a quiet master planner, a developed and developing nation which often presents itself ordinarily as a developing country and therefore as a Third World country. Vie Internationale argues that China is a developing nation not in the general conception of a Third World country but one still making efforts to improve on its developed status. Vie internationale argues that Nigeria is neither under-developed nor developing. The notion of an under-development necessarily implies that the efforts at development are inadequate or that the stage attained, going by other standards, is below. We contend here that, when compared with China considered as a developing country, Nigeria is, at best, a non-starter and therefore a non-developing country. Without doubt, Western countries hide under the cover of macro-economic and militaro-industrialist factors to relegate China to the Third World or the group of truly poor and non-developing nations of the world. For any country of Africa to put itself as a Third World country at the same level with China is simply to engage in serious strategic miscalculation. As noted in this column last week, a delegation of the Developing Countries Think Tanks, comprising delegates from Nigeria, Ethiopia, Senegal, South Africa, Lebanon, Cambodia, etc, was invited by the International Department of the CPC. The recently established Bolytag Centre for International Diplomacy and Strategic Studies (BOCIDASS) and the Society for International Relations Awareness, represented by Bola A. Akinterinwa and Owei Lakemfa respectively, represented Nigeria on the delegation. The delegation continued with its tour of different institutions and regions that play critical roles in the growth and development of China. Many observations came to my mind during the tour: emphasis on self-identity, Chinese mania of doing things, emphasis on self-reliance, friendship and hospitality of people at all levels. There is nothing like weekend of no work. The delegation was received on Saturdays and on Sundays by public officials i their offices. There is no European or African time. Any time fixed is time adhered to. The approach to all meetings was to present China, the province or the county to the delegation, with emphasis on achievements, readiness to relate with all the peoples of the world on the basis of win-win policy. Perhaps more interestingly I began to understand gradually why China is able to develop on the basis of self-reliance and why Nigeria is not even on the path of qualifying to begin to develop. In other words, Nigeria is not really developing and does not even qualify to be called underdeveloped. As noted above, a developing nation is already positively engaged in efforts at improvement. An underdeveloped nation simply refers to a country whose service delivery to the people is below universally acceptable average, especially in terms of security of the stomach, safety of life and property, and protection of fundamental human rights. What describes Nigeria of today more appropriately is ‘non-developing’ or ‘under-developing,’ especially when compared with the state of development of various provinces and local government areas in China. First, the different places the delegation was taken to clearly show that the Government of China has a well-defined focus and the necessary commitment required for its execution. I discovered that there is nothing that made China great or that can make it a superpower that does not exist in Nigeria except. If it were not for governmental clairvoyance and political chicanery, there is no reason why Nigeria should not be great as a people and nation-state. Without scintilla of gainsaying, most leaders in Nigeria are money-seeking and self-seeking essentially, especially those of them that are appointed into the membership of Governing Boards or Councils of government agencies and parastatals . Many of them cannot guide as required but are very good and quick in tainting existing achievements they meet on ground if not in completely destroying them. 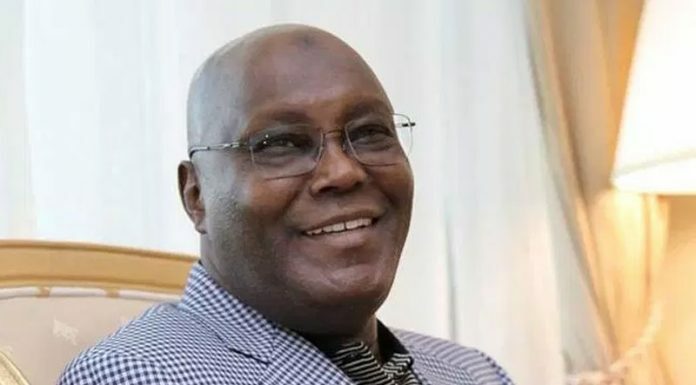 This observation is largely based on the experience from the General Ike Omar Nwachukwu-led Governing Council of the Nigerian Institute of International Affairs. 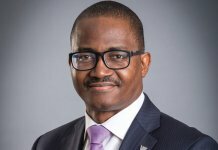 When I took a look at what had been done and still being done in China to make the country great, and compared them with what I had tried to do for the NIIA, I simply had much pity for the people of Nigeria, and particularly for my generation, even though my generation cannot be said to be a wasted generation. What I tried to do was simply to go beyond what Professor Bolaji Akinyemi did in terms of infrastructural development of the NIIA by building a new international conference centre. It will be good for patriotic Nigerians to ask questions about the institute, about the international conference centre, about the raising of its standard in all ramifications. Questions should be asked because what makes China a model of self-reliance and enduring growth and development is precisely the philosophy of not accepting to operate below international standard in whatever is to be done officially. I decided to raise the bar by first of all applying the rules and regulations to the letter. Non-PhD holders were not only reminded that they would not be able to go beyond the grade level of a Senior Research Fellow. In other words, they would not qualify to be assessed for promotion to the professorial cadre. This policy was already put in place in the institute since the 1980s, In fact some Research Fellows were compelled to go to University of Lagos for doctoral education. Some academic members of the Governing Council who knew much about this fact opted to say nothing about the truth. The Council was interested in documentary evidence to justify my decision. This looks good but what is behind six is more than seven. Time will tell what exactly is after six. Meanwhile, no country can develop on the basis of the attitudinal disposition of the Ike Nwachukwu-led Governing Council. 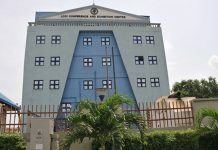 What is happening to the international conference centre and the new Office of the Director General that I newly put in place? What about the new Office for the Chairman of the Governing Council? What about the Founders of the NIIA, as well as former Directors General who were honoured with the naming of halls, committee rooms after them? Signage that were paid for and installed and which all visitors to the institute commended, were removed by Mrs. Stella Abimbola Dada during her one month tenure as Director General, in the wrong belief that the legacy left by Bola A. Akinterinwa would be removed? The names of people like that of the first Director General of the NIIA, late Ambassador Lawrence Fabunmi, former Foreign Minister, Professor Akinwande Bolaji Akinyemi and Director General of NIIA, and those of founders of the institute were removed. Does the removal of any signage diminish the integrity of a founding father? Whenever I take a look at the video recording of the destruction of my photograph, I simply pray for the destroyer in sympathy, because the destruction or removal of whatever had been done in any public institution is at best pettiness, myopia, and of course, waste of public resources. In China, heroic people are respected and remembered. Their efforts are sustained with new and additional efforts. In Nigeria, they are defamed as a result of ignorance and weakness of mind. Even when people want to destroy anything, it should still be done with a bit of common sense. In the same vein, in worshiping God, it should still be done with common sense. God wants everyone to behave rationally. If destruction is done with the application of a little common sense, there will not be any need for wastages. Sooner or later, and under the Freedom of Information Act, the Institute will be called to explain by all the stakeholders. How the modern-day civil and public servants behave at the NIIA cannot help national development. Explained differently, development should not simply be seen as the provision of infrastructure. It is essentially about the extent of integrity of the people. It is about the extent of capacity to defend the national interest. It is only in Nigeria that a Minister will go into the open to condemn Nigerians abroad in the belief that they had done something wrong, or if they had not done anything wrong, they would not have been mistreated. Most unfortunate, many Nigerians had been mistreated without just cause. Last week Tuesday, a French policeman killed one Chinese national in Paris. Within 24 hours following the incident, the Chinese living in Paris and environs not only demonstrated against what they called ‘cold murder’ of their compatriots, the Chinese Foreign Ministry also summoned the French ambassador in Beijing for explanation. The Chinese government did not wait to find out what offence he might have been committed to have warranted his being shot dead. The belief of the Chinese is that all Chinese residing in France are entitled to national protection of the host state and the national protection of China under both private and public international law. In Nigeria, diplomatic protection under the Vienna Conventions (Public International Law) and under Private International Law, particularly in terms of denial of justice, does not mean much. As a result, there is no strong umbilical cord tying the state and the people of Nigeria together. Patriotism therefore suffers. Anti-Nigeria sentiments then have more room to grow. More disturbing is the issue of a 21-storey building, ‘Beijing House’, being planned to be built at the NIIA by the Chinese. For the purposes of greater cooperation in the area of research and development and with the ultimate objective of promoting better understanding between the NIIA and Chinese international relations research institutions, I made the need for a Beijing House at the NIIA known to the Chinese Consul General in Nigeria when he paid me a courtesy visit as NIIA Director General. The suggestion had earlier been raised with our Chinese partners during our various joint seminars in both Nigeria and China. This matter was discussed to the most important level, making the request official and transferring all documents to the Government of Nigeria for ownership. The matter can be considered dead as it was the Chinese Consul General that was asking for where the NIIA was on the matter thereafter. The point is that every discussion, every decision, every declared intention, etc, is always taken seriously and officially by the Chinese. When the Chinese partners of the NIIA were convinced that such a Beijing House could not but be relevant, especially when I took them round to see what the Germans and the British had done for the institute, and particularly how the Americans had played active part in the establishment of and donation of books to the institute at the initial stage, the Chinese had no basis to hesitate. They were quickly decided to examine the proposal but at the level of the Federal Government. It is better to leave the rest of the story to history to tell. However, why should anyone expect Nigeria to develop in this type of circumstance? The 21-storey building was designed to be fully funded by the Chinese. The architectural design was done and it was to cost about N7billion without the equipment. It should simply be noted here that no nation, no institution operates on the basis of don’t care attitude and still expects to grow and develop. What the Chinese are doing to the point of excellence, which can be easily done in Nigeria, but not done because of the kind of people who parade themselves as leaders but which they really are not, is simply identifying a national focus, pursuing it with commitment and involvement of the people at all levels, as well as predicating political governance on transparent accountability and self-reliant policies. This observation brings us to one major reason why China is developed and still developing. China is a developing nation in spite of its current great power status. In light of this, we believe that all the countries hitherto described as ‘developing,’ should be re-designated as ‘non-developing countries.’ China is considered developing essentially because of its unwavering commitment to research and development, equity and fairness, creativity of purpose and involvement of the generality of the people of China in policy making. All the Chinese companies that are competing well internationally as at today (Huawei, China Road and Bridge Corporation (CRBC), etc) devote the greater part of their attention to research and development. Apart from that, the people think beyond the box. They live in the future. For instance, the Huawei, does not allocate less than 10% of its income to research. Besides, of the 180,000 members of staff in the company, 80,000 of them, that is, 44.4%, are engaged in active research. The cardinal objective of research is to pave way for better understanding of societal problems, to enhance a better living. Research is one of the major dynamics of development in the First World. Research is a journey to the unknown. When the unknown becomes known, advantage is then taken of it in many ways. This is why several business entrepreneurs readily support research and development in advanced countries. The problem, however, is that private sector financing of research, and particularly, industrial research, is not a big deal in Nigeria. Let us also look at another dynamics of development in China: the 12345 Public Service Hotline of Jinan from which lessons could also be learnt. The public service hotline centre was set up by the CPC ruling party on September 9, 2008 with only one telephone set and one staff to address all the people’s complaints and promptly too. Since then, more than 16 million calls have been received, on average daily calls of between 10,000 and 12,000. Unlike in 2008 when communication connections were done by telephone lines only, today is witnessing applications for information through mobile phones, text messages, etc. The centre is open for duty for 24 hours daily without interruption. This is to ensure that any Chinese wishing to call can do so at any time convenient to them. The objective is also to help improve the image of Government of China, as well as enhance national development and efficiency, and provide standardised service. Three points are noteworthy at this juncture. First, operationally, citizens often call for four things. They call for information guide and 59% of the calls deal with questions that are quickly responded to. In this regard, for instance, an 8-year old Chinese telephoned to inquire about the direction from which wind is coming from. The second category deals with demands and they are appropriately sent to the desk officers in the relevant departments for answers. When such answers are responded to, answers are transmitted to the initial callers who would also later be contacted to find out the extent of his or her satisfaction. Many a time, the centre also calls the citizens to find out what their needs or complaints are. Thirdly, the usefulness of the centre is to the extent that the International Standard Organisation has used the centre as a special case study, thus reflecting the importance attached to the centre. 98.17% of the people of China are reported to have given the centre a high approval rating. If 59% of the calls are information-driven, 31% are calls for inquiry and help, and only 6.2% are calls making suggestions, leaving only 3.8% for complaints, there can be no disputing the fact that bridging communication gaps between the governing authority and the governed is necessary in political governance in order to maintain peace. Nigeria has a Complaint Commission. Nigeria even has some telephone lines for emergency. However China’s approach to the issue is more serious than the way it is in Nigeria. So is the handling of anti-corruption in China more serious than the way it is in Nigeria. In this regard, a political party does not need to be in power before engaging in creative projects like the 12345 centre. In fact, it is when one is in the opposition group that this type of project ought to be conceived, especially in preparation for the 2019 elections. For Nigeria to begin to develop, the needful has to be done ab initio.